South Canterbury is an excellent base for many businesses, with its central location, modern infrastructure, highly skilled labour force, lower property and labour rates than many other areas of New Zealand. South Canterbury's economy is strongly influenced by its agricultural heritage. Today agriculture in the district is diverse, ranging from intensive dairy farming to vegetable production, cropping, meat and wool. Significant manufacturing operations are also located here, including Fonterra’s Clandeboye dairy factory, McCain’s food processing plant, DB Mainland Breweries, NZ Light Leathers, Alliance Group Smithfield meat processing plant and Barker's of Geraldine. Centrally located for distribution, and the region’s port PrimePort provides a busy gateway for exports and imports. South Canterbury has a stable housing market, with real estate and rental prices comparing very favourably to other areas of New Zealand. 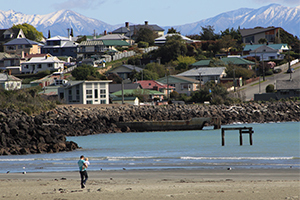 Many new residents choose to rent a home on first arriving in the region, with rental prices for a family home ranging from NZD $330 to $400 per week in Timaru and surrounding townships. Many local real estate agents also offer property management and rental portfolios. 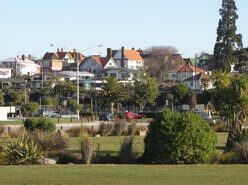 As a general guideline, median house price for Timaru District in the first quarter of 2018 was $350,000. Prices for premium properties in prime locations start at around $650,000 and go up to $1 million+ . Rural lifestyle properties are sought after and priced depending on location and land size. South Canterbury Chamber of Commerce works with a wide range of excellent South Canterbury business partners, who can help you with your property needs. South Canterbury offers an excellent range of high quality education options, from pre-school to tertiary. See Study section for more detail including a list of schools and educational institutions around the region. In most urban areas, schools are within easy walking distance and in rural areas, school bus services provide transport to rural and urban schools for students who qualify due to distance from their nearest school. IT literacy in the region is high and broadband is widely available – landline in urban areas and satellite or wireless options for more remote rural locations. A ‘Gigatown’ finalist, Timaru was one of the first cities to roll out Fibre. Located on the doorstep of all the region’s largest exporters and at the heart of New Zealand’s largest food bowl, the Canterbury Plains, South Canterbury is centrally located and well served by a modern transport infrastructure. 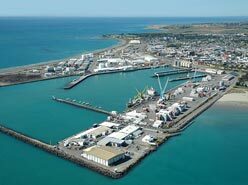 The most centrally located South Island port, PrimePort Timaru with its alliance with Port of Tauranga is a modern freight and logistics import/export hub for many businesses, providing an active gateway for the South Canterbury economy. 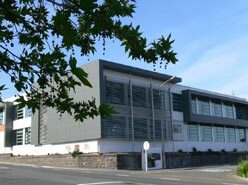 Extensive warehousing and storage capacity is complemented by the opportunity for further development. Whether you’re moving around the corner or from across the globe, there are Business Partners right here who can help you as a family or business, nationally or internationally. 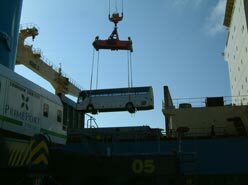 Specialists in all aspects of moving services, customs and freight forwarding. Thanks for choosing us, and welcome to South Canterbury. These Business Services partners are happy to assist.